The City of West Hollywood is hosting two events this coming Saturday for children and their families. 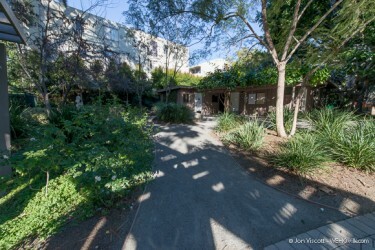 Plummer Park will be the location for the city’s 24th annual West Hollywood Kids Fair. This free day of education and information for young children and their families will feature Sheriff’s and Fire Department equipment and demonstrations, community services/school information, environmental education, health information, face painting, arts and crafts and games. The event will take place from 10 a.m. to 2 p.m. at Plummer Park, located at 7377 Santa Monica Blvd. For more information, contact Corey Roskin at croskin@weho.org or (323) 848-6403. The Rec ‘n’ Roll team will roll into the park to help kids ages 4 to 10 have fun with board games, sidewalk chalk, sports equipment, craft projects and more. Parental supervision is required in order to participate. Admission is free. The event takes place from 10 a.m. to 2 p.m. at the park, which is located at 1000 N. Kings Road. the park is a disaster. it’s a homeless park…….with junkies and drunks crashed out everywhere. would never bring my kids there.